If you’re looking for a new AC installation, pipe replacement, or heating repair in Plainfield, NJ, look no further! Rite Rate Heating and Cooling has a lifetime’s worth of experience and is a licensed plumbing, heating, and air conditioning company in Plainfield, NJ. We have a strong dedication to customer service and offer free estimates on all our services. We’re your source for plumbing and HVAC repairs, replacements, installations, and maintenance! For reliable, quality services that are carried out by professional plumbers and contractors, call Rite Rate! As a world-class heating company in Plainfield, NJ, Rite Rate offers a number of heating services, with a proven track record of servicing hot water heaters, furnaces, and boilers. If there’s an issue with your heating system such as no heat or hot water, we can fix it. 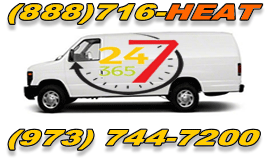 Our 24-hour heating repair service is affordable, fast, and efficient! Besides heating repairs, we perform installations, maintenance, and replacements as well. There’s no switch, coil, valve, or heat exchanger that we can replace and no heater or hot water heater that we can install. When we provide maintenance, our aim is to help lower your energy costs and ensure your heating system is working efficiently all winter long. For heating repair, installation, maintenance, or replacement, call our reliable heating company! We guarantee customer satisfaction and quality heating services that are highly affordable. When a pipe bursts, you don’t want to wait hours for a plumber. Every minute without action means possible water damage and flooding. That’s why we offer 24/7 plumbing service in the event there’s an emergency. Whether it’s a bathtub, outdoor drain, sump pump or main sewer line, we guarantee affordable and reliable service with quick results. We’ll offer flood assistance and water damage restoration should the floor in your basement, kitchen, or bathroom becomes damaged. We also provide drain and sewer cleaning to make sure debris doesn’t cause unnecessary clogs in your plumbing. Nobody wants to be without an air conditioner during the summer. At Rite Rate, we’re an affordable air conditioning company in Plainfield, NJ. We offer air conditioning repair, maintenance, replacement, and installation services. Whether the central AC in your home or business isn’t working or if you need a new air conditioner installed, we’re the experts on all air conditioners. Our contractors are highly trained to service central air conditioners, packaged air, ductless air conditioning, heat pumps, air handlers, and much more. Whether you need it repaired, replaced, or installed, we’ll be there to keep your summers cool and your air conditioning costs low.